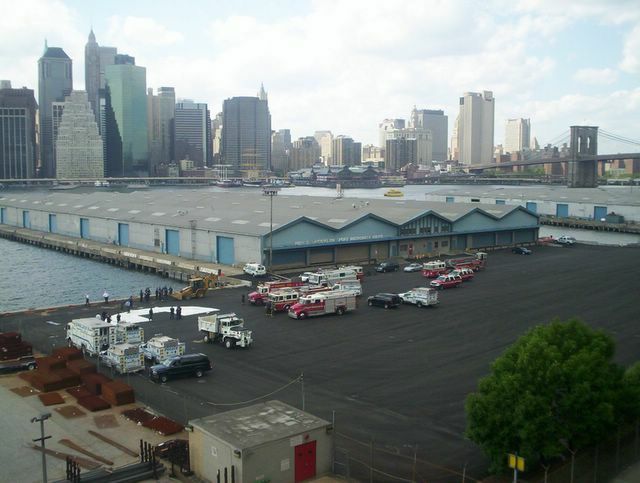 Michael Suddard: Helicopter Crash into the East River. 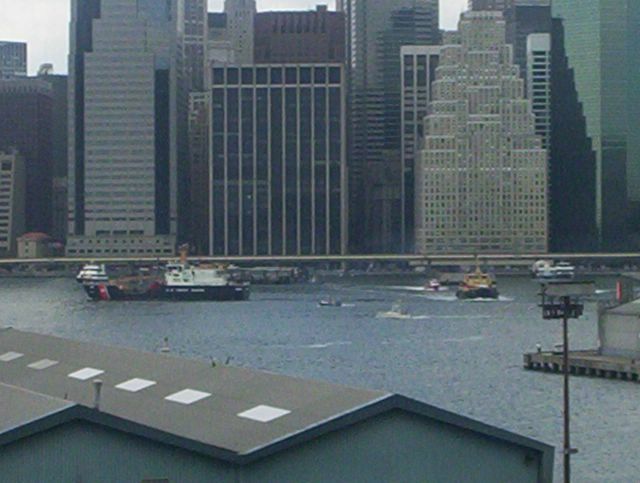 Helicopter Crash into the East River. 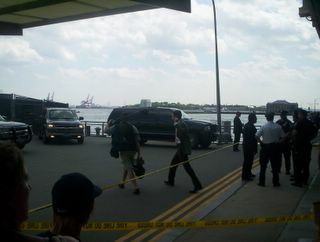 Was out on an adventure today when I heard that a helicopter crashed into the East River. I had my camera with me, so I clicked a few pictures. 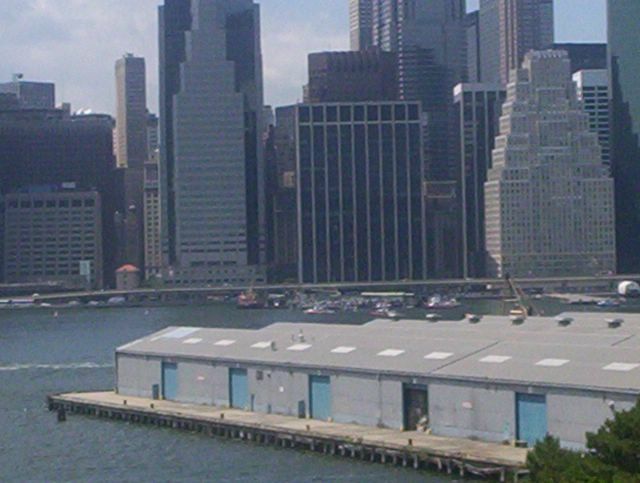 According to CBS Channel 2 News, the helicopter was on a sightseeing trip of the New York City area when it was attempting to land and ended up crashing into the water off the end of Pier 11, which is located at the eastern end of Wall Street. All six tourists are in hospital with one in a coma. 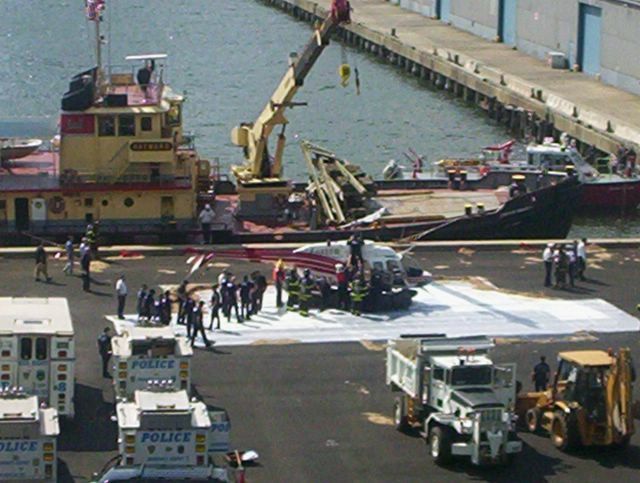 As luck would have it, according to CBS 2, there was a NYPD diving team doing drills nearby that quickly responded to the crash scene. The scene on the East River viewed from the Brooklyn Promenade after a hellicopter crashed. The hellicopter crashed into the East River near Pier 11 (at the end of Wall Street). A look at the foot of Pier 11 with New York City Mayor Michael Bloomberg arriving (first white shirt from your right). Fox 5 News crew arriving for Mayor's press conference on the crash. Mayor seems to be having a press conference whenever he can these days. Is it because this is a Mayoral election year? Who knows? 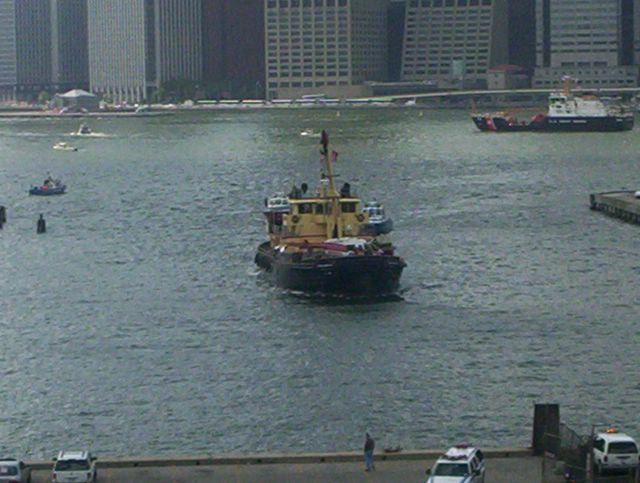 The US Army's crane ship getting ready to lift the hellicopter wreckage from the East River. This picture taken from the shore of Manhattan. A look at the scene of the plane crash with the US Army ship heading toward Pier 2 in Brooklyn to offload the helicopter. 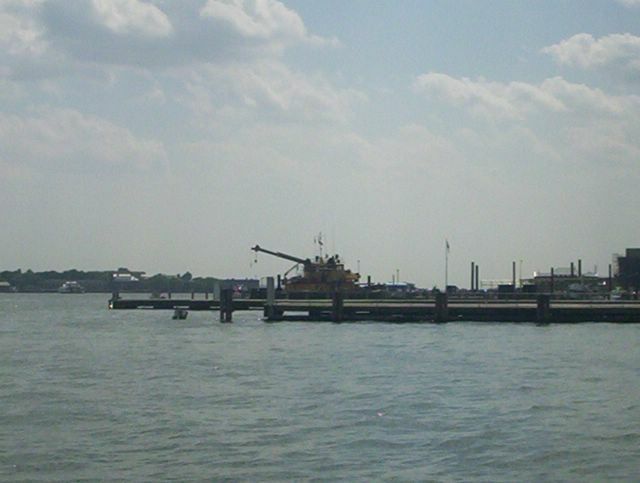 The black boat to the left is a US Coast Guard ship. 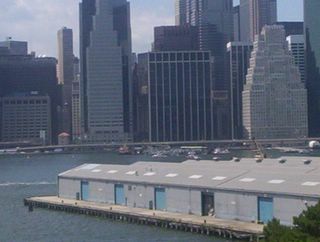 Picture taken from the Brooklyn Promenade. Prepping Brooklyn's Pier 2 for the arrival of the US Army ship and the crashed helicopter. 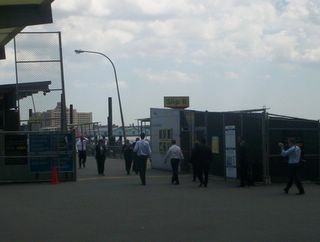 NYFD, NYPD and the Port Authority Police responded. US Army ship with crashed helicopter arriving at Brooklyn's Pier 2. 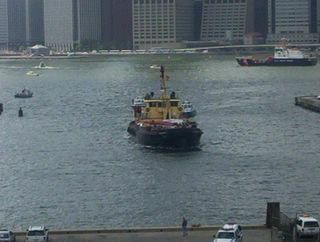 Picture taken from Brooklyn Promenade. 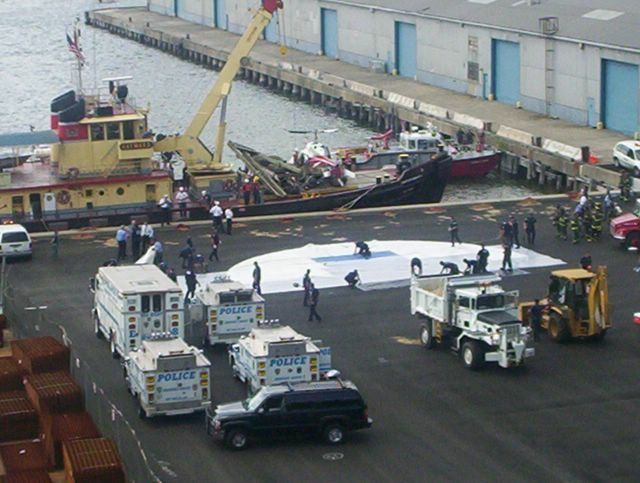 US Army ship getting ready to lift the helcopter as NYPD, NYFD and Port Authority Police prepare Brooklyn's Pier 2 for offloading of the crashed helicopter. Helicopter on Pier 2 in Brooklyn with fire and police officials investigating the wreckage. 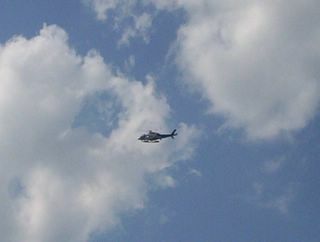 NYPD helicopter flying over the East River area watching the helicopter crash scene.